Breaking news : Tarzan nkpor junction is hot 🔥!! 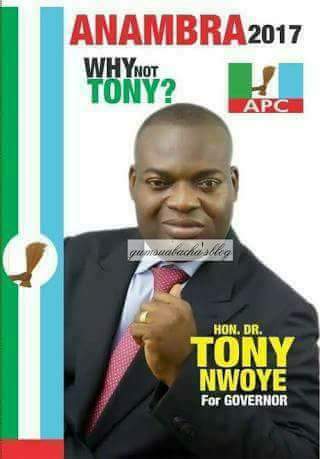 Information coming in from nkpor :-hon Tony Nwoye (Anambra 2017 Apc governor candidate))moving on his convoy with his police officers and securities men, shot an okada rider at tanzan junction Nkpor.. This are the men you want to go and give your vote, Nwoye not yet a governor but has started killing our people, what then will happen when he wins the election??? 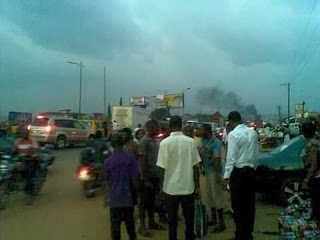 Comes 18th of November, Sit at Home ..
Information reaching the News Desk of Family Writers Press has it that three people were killed at Nkpor Junction Anambra. 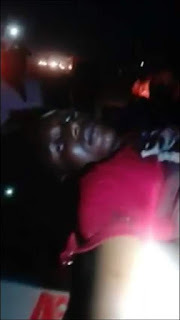 A total of three people have been confirmed dead at Nkpor as the convoy of Tony Nwoye and visiting governors ran into the crowd and killed one person. This brought about a protest from the masses and the police guiding Tony opened fire on the protesting crowd and killed additional two people. The people have to close their shops and run for their dear lives as military and police have taken over the scene.